There’s a new Battlefield on the way, and EA have provided a few more details on the upcoming game through their annual fiscal report. The game will have a campaign, for you single-player holdouts, and will feature a brand new mode. Check out all the biggest upcoming PC games. It’s not exactly revelatory that Battlefield will have a campaign, though with Call of Duty perhaps going multiplayer only, confirmation from their fiscal call (via ResetEra) will certainly be comforting to fans who want to go solo. Of course, even among the standards of shooters predominantly known for multiplayer, Battlefield’s campaigns (outside of Bad Company) have never been especially terrific. But as VG247 note, there’s also a significant new mode in the game, and though details are far from confirmed this certainly sounds like it could be the battle royale mode said to be in testing at DICE. The next Battlefield appears to be on track for release in October this year, and more concrete details will be unveiled at the EA Play event ahead of E3 this year. 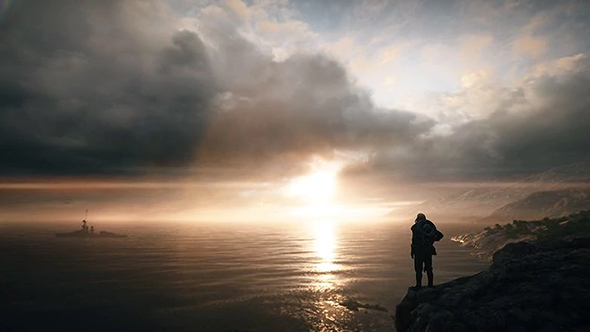 EA also announced that current-gen Battlefield has attracted 54 million players so far, which certainly means it will continue to be a major consideration for the company in the future.